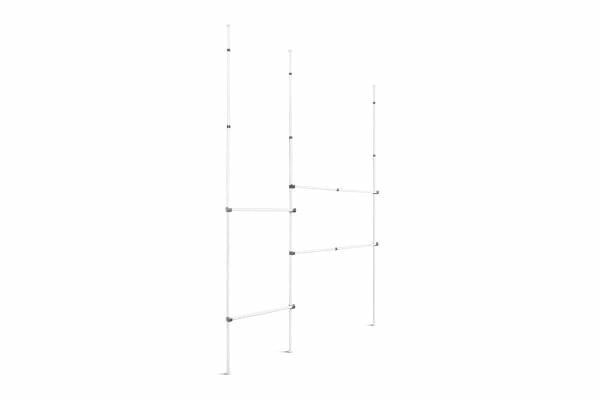 Fully adjustable to fit any space with stainless steel telescopic poles, the Ovela Premium Adjustable Telescopic Clothes Rack is the ultimate convenient and affordable clothing storage solution. 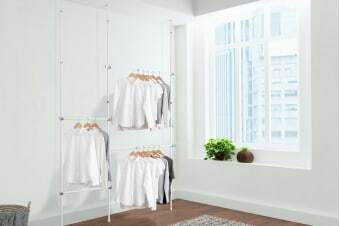 Bulky standalone wardrobes are hard to transport and aren’t guaranteed to fit into a new space if you move, while a custom-built wardrobe can end up being incredibly costly. 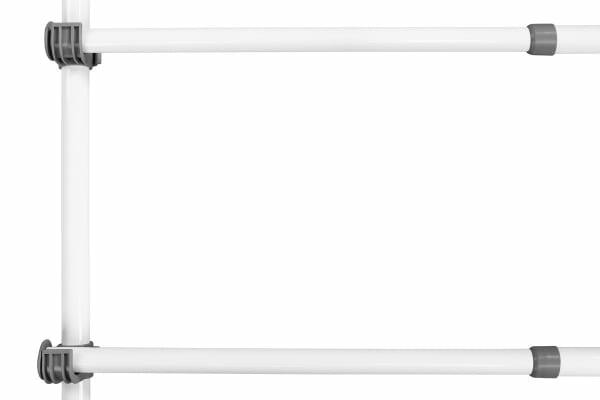 Enter the Ovela Premium Adjustable Telescopic Clothes Rack – a quick, easy and affordable wardrobe solution that fits almost any space. 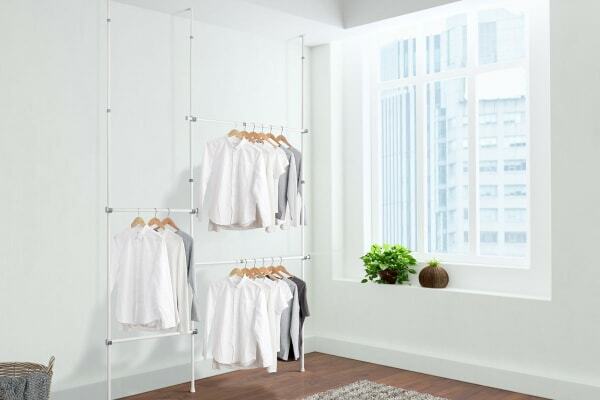 Unlike bulky wardrobes, the two-tiered standalone storage system saves floor space, and the innovative locking system holds the rack securely in place without screws or bolts.